Join us in the Nation's Capitol for the Society to Improve Diagnosis in Medicine (SIDM)'s 12th International Diagnostic Error in Medicine Conference (DEM2019). We will come together to showcase developments in the field of diagnostic quality and safety, and focus on the unique role of public policy in driving advances in research, quality improvement, and medical education. This year's theme is: Shaping Policy, Improving Practice. 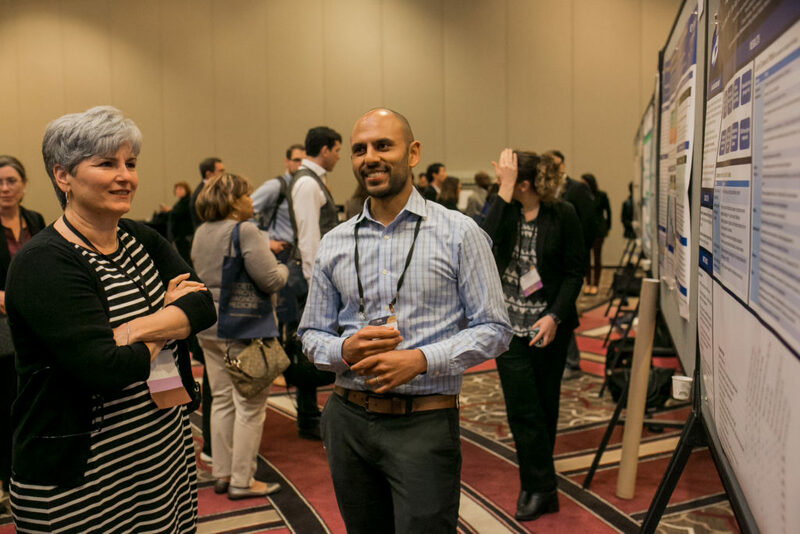 DEM2019 brings together physicians, patients, nurses, healthcare professionals, researchers, institutional leaders, policymakers, educators, students, and residents to highlight and share recent innovations to improve the diagnostic process. Workshop and abstract submissions should contribute to and advance the field of diagnostic quality and be relevant to SIDM's Strategic Priorities. DEM2019 is a self-accredited Patients Included conference and we are especially interested in innovative, patient-centered workshops and abstracts that are co-developed and delivered with patients and family members. All accepted presenters will be required to register for DEM2019. The Interactive Workshops will be 60-90 minute CME/CNE accredited sessions that focus on some aspect of diagnostic error or the diagnostic process. They must be highly interactive and provide participants with actionable knowledge or key take aways. A maximum of four presenters per session are allowed. Provide a summary (250 words max) - An effective description clearly explains the key points, demonstrates value to the targeted audience, and piques the attendees’ interest by being informative, interactive, stimulating, and relevant. Please spell out any acronyms on first mention. Oral presenters will be chosen and notified by the review committee from the pool of abstract submissions. All accepted presenters will be required to register for the conference. Trainees (students, residents, fellows and post-docs) who have a clinical vignette selected for the Diagnostic Error and Clinical Reasoning Case Presentations or an abstract selected for plenary oral abstract presentations will be offered free registration. Authors have to approve of publication of their accepted abstracts in the open access journal Diagnosis. This may include 1 table or figure. Practice Improvement Abstracts should describe programs, strategies, tools, or solutions to improve communication or information flow, and/or process performance for clinical providers and patients to reduce harm associated with diagnostic error in diverse delivery systems. Ideally, these should be solutions that can be quickly implemented in routine practice. Programs addressing diagnostic error in medicine that have been piloted or implemented are encouraged. The abstract title should be brief and clear. Abbreviations must not be used in abstract titles. Please state authors' names and institutional affiliations. If an author does NOT have an institutional affiliation, indicate their city, state/province, and country; omit titles, degrees, institutional appointments, street names, and postal codes. Single space all typing with one space between paragraphs. Underlining or capitalization for emphasis is not permitted. Simple tables or graphs may be included but will contribute 50 words towards the word limit. Please note that images may be reduced in size during online submission and only these scaled down images will be visible to reviewers and printed in the conference program booklet or other media. Please consider rewriting the abstract with fewer words if you wish to have a large sized image visible to reviewers and displayed in the conference program booklet. Graphs can be uploaded in color, however, please note that all images will be printed in black and white in the conference program booklet and other print publications. We recommend creating images in black and white for uploading. All abstracts should report original work. If submitting work that has been presented or published elsewhere, please indicate this clearly in your submission. Because of copyright law, a submitted abstract may not be identical to a previously published abstract. There is no limit on the total number of abstracts submitted by each presenter. However, if one author submits more than one abstract about the same data set, the abstracts should be substantially different. Furthermore, each presenter is limited to a maximum of 2 oral presentations and any additional accepted abstracts (beyond the 2 oral presentations) will be slotted for poster presentation. There is no limit to the number of poster presentations per individual. Except as noted above, presenters are responsible for all travel/staying expenses associated with oral or poster presentation. For oral presenters, please include a slide at the beginning of your presentation stating your learning objective(s). For poster presenters, please include a learning objective(s), in easily readable font, on the poster. Educational materials that are part of a CME/CNE activity cannot contain any advertising, trade name, trade symbol or product-group message. Use of product brand names or logos is not permitted. Use of trademarks or registered service marks for any organization without their permission (except for clinical citations) will not be permitted. Use of company slides is not permitted. Objectivity and fair balance means that recommendations or emphasis must fairly represent, and be based on, a reasonable and valid interpretation of the information available on the subject (e.g., "On balance the data support the following ..."). A balanced view of therapeutic options also means that no single product or service is over-represented in the educational activity when other equal but competing products or services are available for inclusion. For slide presentations and print materials, each slide or key teaching point must state the kind of trial that demonstrates the data being discussed. Slides are not required to state, for example, "Level 1 evidence" (although it is acceptable to include it), but slides are required to include a statement, for example, "Systematic review of 35 RCTs..." or "Case-controlled trial..." that supports what is being discussed and presented within each slide. This is a conventional approach in the tradition of evidence-based medicine and may be viewed at the Oxford Centre for Evidence-Based Medicine. Professional references must be cited for educational content. It is acceptable to list references at the end of a slide presentation or on a single sheet for poster presentations. All presenters are required to disclose any relationships (for themselves and/or significant other) to commercial interests. The accrediting partner will then determine if the relationship is relevant, and if it is, endeavor to resolve any conflict. For oral presenters, please include a slide at the beginning of your presentation stating potential conflicts of interest or stating "No Conflicts". For poster presenters, please include a statement at the bottom of your poster, in easily readable font, stating potential conflicts of interest or stating "No Conflicts". Presenters must promote improvements or quality in healthcare and not a specific proprietary business interest of a commercial interest. The Society to Improve Diagnosis in Medicine (SIDM) is the only organization focused exclusively on the problem of diagnostic error. Pervasive, yet poorly understood, diagnostic error — wrong diagnosis, missed diagnosis or unnecessarily delayed diagnosis — affects nearly 12 million adults and causes 40,000 to 80,000 deaths annually in the United States alone. SIDM’s vision is to create a world where no patients are harmed by diagnostic error. Funding for this conference was made possible in part by 1R13HSO25630-01 from the Agency for Healthcare Research and Quality (AHRQ). The views expressed in written conference materials or publications and by speakers and moderators do not necessarily reflect the ofﬁcial policies of the Department of Health and Human Services; nor does mention of trade names, commercial practices, or organizations imply endorsement by the U.S. Government. Looking to submit a workshop or abstract for DEM2019? Review all guidelines and submit today.